TORONTO - The Toronto Comics Arts Festival, which celebrated its 10th anniversary this year, has of late made its name bringing over cutting-edge Japanese artists for signings, live drawing sessions and speaking events. The atmosphere at this year’s event, held in May, in many ways like an independent film festival, which is to say refreshingly mature — for those manga fans who thirst for coffee and rather than Mountain Dew. In its relative distance from the American comic-con epicenters, TCAF (“Tee Caff” as it is more affectionately referred to) has been able to distance itself from the typical blockbuster-TV-RPG-toy franchise convention, without explicitly singling out “the indies,” something that is heartening to many in the publishing industry. There did appear to be a predictable cosplay event, but a good number of us went on the guided-bus tour to Niagara Falls instead, videotaping the Old Town’s Main Street instead of Narutos dressed in homemade metal-plated headbands. 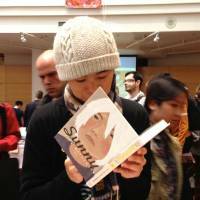 It was with no surprise, then, that TCAF’s featured guests this year included writers of elegiac novels such as Rutu Modan, superhero darlings like Paul Pope, as well as pornographer Gengoroh Tagame (in the interest of disclosure I attended TCAF in Tagame’s party as the producer of his first English tome). 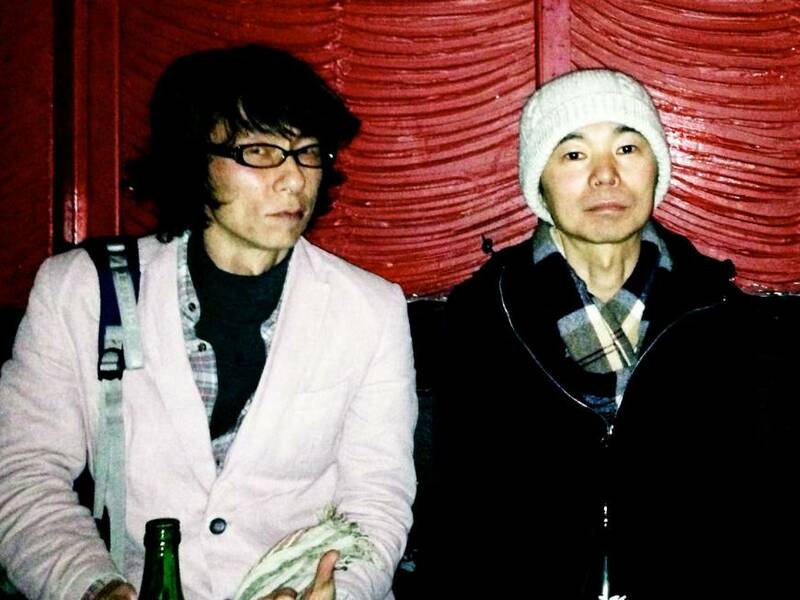 It was Taiyo Matsumoto, however, who came over from Kamakura along with his translator/filmmaker/friend Michael Arias (out of Tokyo), that received the most attention. Designated autograph hours turned into marathons, and speaking events were standing-room-only. 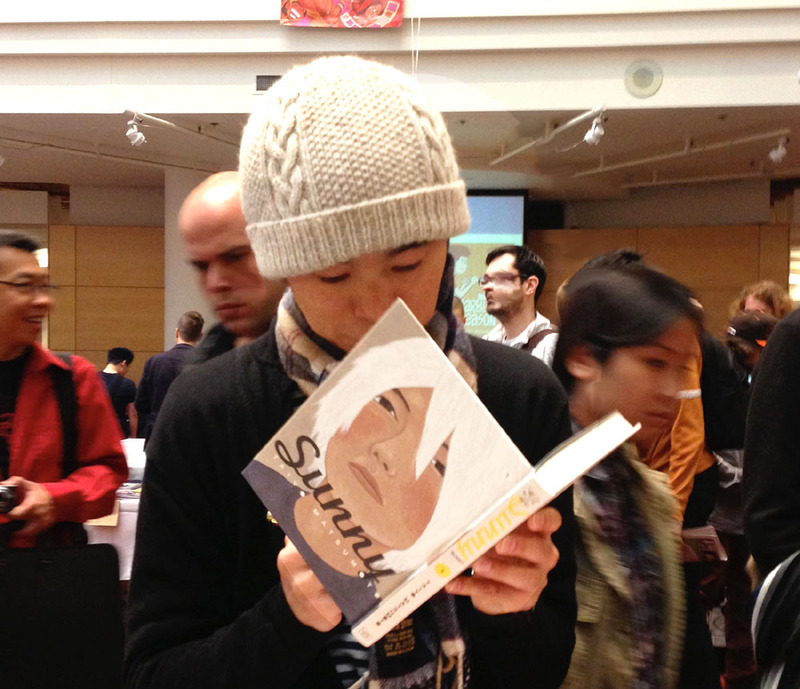 Without so much as a booth, Matsumoto and Arias came to support their latest full-length graphic novel, “Sunny” (Viz, May 2013), and could be seen drifting through TCAF’s weekend home at the Toronto Reference Library, quietly observing their peers and as quietly obliging fans’ requests for sketches and photos. 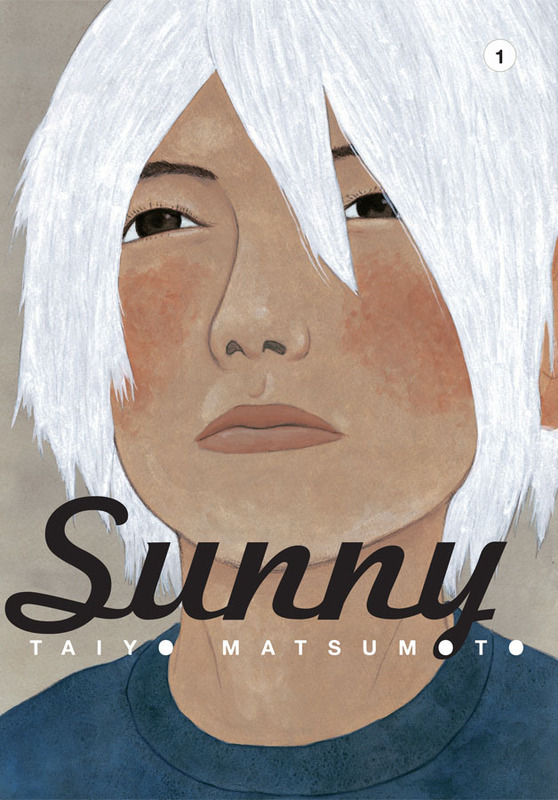 As of June 9, “Sunny” was number three on The New York Times Manga Best Seller list. With his rising popularity, it was odd that Matsumoto had not been to a comic fair in North America before. “Actually, I hadn’t really been asked over before,” he says laughing. “I’ve been to Angouleme, France, which was nice. Matsumoto is widely known for creating comic-book worlds populated by young male misfits, his notoriety for such stories no doubt fueled by what’s been adapted to film. 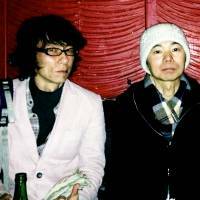 “Blue Spring,” directed by Toshiaki Toyoda (2001), follows rivalling high school troublemakers; “Ping Pong,” directed by Fumihiko Sori (2002), follows rivalling high school table tennis champions; and the anime “Tekkon Kinkreet,” directed by Arias (2006), tracks the lives of homeless urchins. That’s not to say Matsumoto neglects adults or that he cannot write about women. Earlier works show his breadth in character study, such as “Number 5,” which prominently features a pregnant character named Matroshka, and “Zero,” which follows the lives of aging boxers. What makes his latest work so impressive, however, is that though he continues to depict a world of boys and girls flailing in an emotional crucible, he has made a deceptively simple change in tempo that represents a sea change in his manga genre. Whereas previous works, such as his “Number 5,” were arranged as if a phantasmagorical symphony, “Sunny” by contrast, is a neat chamber piece. “Tekkon” depicted a favela; “Sunny” takes place à huis clos, with scenes confined to the inside of a disused car. In many ways, Matsumoto’s fifth full-length graphic novel is a formal and existential fugue, made the more salient because it is based on the true story of the writer’s own childhood. 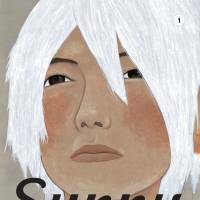 Told in six chapters originally serialized in IKKI, “Sunny” captures one moment in the lives of each of the orphans fostered at the Star Kids Home (Hoshinoko Gakuen). The “cover orphan” of the new graphic novel, is Haruo, also called Shiro (White), for his shocking white hair. The new kid, Sei, walks the reader through the induction phase of foster care, and a supporting cast of playful misfits exhibit the textbook behavior of abandoned kids such as petty theft and school delinquency. “Sunny” itself refers to the run-down 1970s Datsun the kids use alternately as a confessional and stationary amusement ride. Matsumoto works at what’s considered a steady clip, and says he always starts with the artwork before the story. His settings and many of his establishment shots in “Sunny” appear to be single thoughts, and stories often build into the background through secondary dialogue. He works for the most part without assistants, though his wife, the artist and manga illustrator Saho Tono, helps in prepping and coloring while occasionally giving editorial guidance. For Arias’ English translation of “Sunny,” the challenge was to maintain the fidelity of the child’s voice and the particularities of a Mie Prefecture regional dialect. Asked if he read the work of anyone in particular as inspiration for capturing that hōgen, he cited none other than the notorious JT LeRoy, the 12-year-old prostitute memoirist who turned out to be fictional — a pen name whose literary reality-stunts have, for better or worse, immortalized writer Laura Albert. “Sunny,” on the other hand, by being labeled fiction, allows for the truth masked behind it to remain a secret artifact. And even if it isn’t so secret? “Sunny” (Vol. 1) by Taiyo Matsumoto is published by Viz Signature ($22.99): www.viz.com/manga/print. For more information on the Toronto Comics Arts Festival, visit www.torontocomics.com.